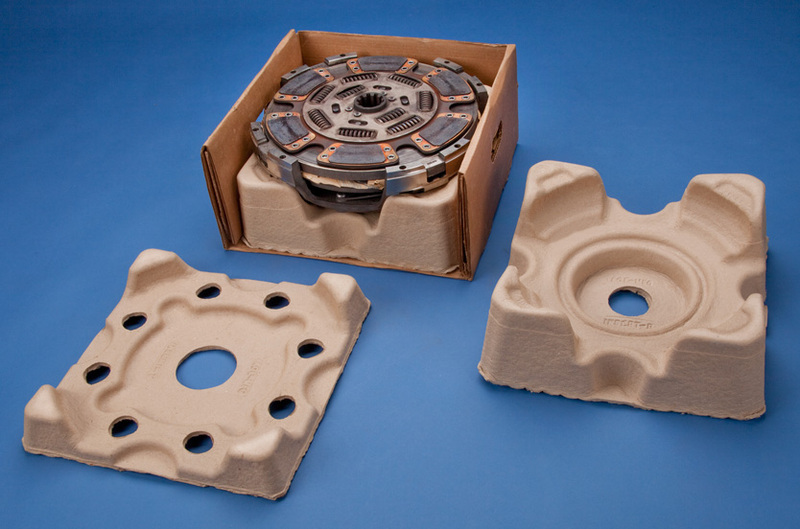 Sustainable and Recycled Packaging Products | Fibreform Containers, Inc. Designing sustainable packaging that supports your environment and business goals. Redesign customer’s current packaging with an easier to recycle and budget-friendly design. Foam-in-place material needed to be replaced but still needed to hold a 100-pound truck clutch. New packaging also needed to provide support when stacking the cartons. 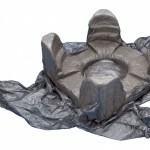 Fibreform replaced the single pad with two molded fiber pulp pads – a pulp base and a top pad – using the current carton size. 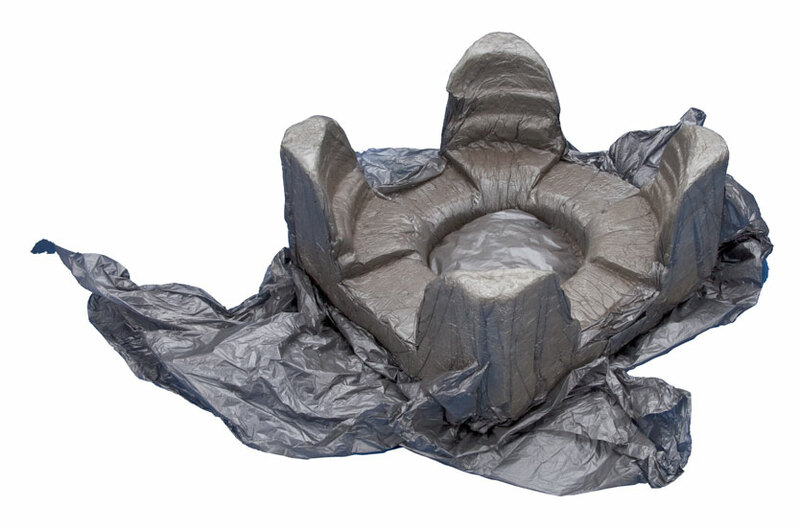 For stacking strength, two molded fiber pulp pads were designed to make solid contact with each other in the corner edges of the package. 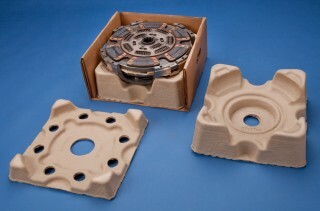 The base pad held the weight and position of the clutch, while the top pad protected exposed sensitive areas and assisted in reinforcing the corners of the carton. Contact Us with any questions or specific requests you have regarding your pulp packaging needs or our services and we will gladly get back to you with in the next 24 hours.